This detached villa, in triplex model, is located in the beautifull and peacefull town Avsallar, only 750 m from the sandy beach and 1 km from centrum. 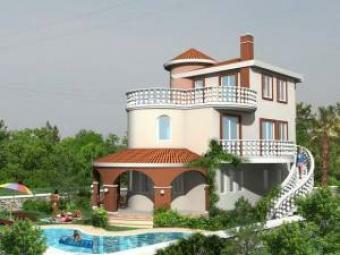 The villa is placed on 465 M2 plot area and you have your own private swimming pool and parking space. The villa have 3 floors and covers 190 M2 living area with 3 bedrooms and 3 bathrooms. It have a nice terrace on the ground floor, a balcony on the first floor, and a huge roof terrace. From the villa you have sea- and mountain views. For more information don`t hesitate to contact us. BUY THIS VILLA TILL NOVEMBER AND GET A BRAND NEW CAR OR FULL FURNITURE PACK!